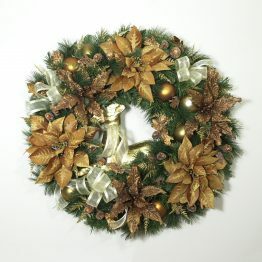 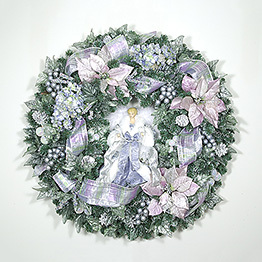 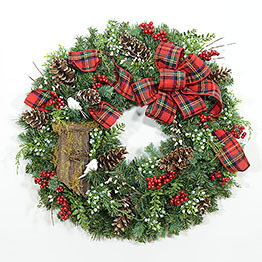 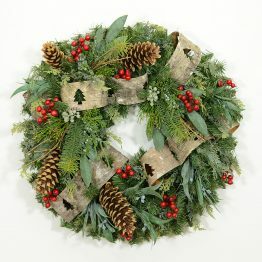 You won’t feel the winter blues with this delightful wreath. 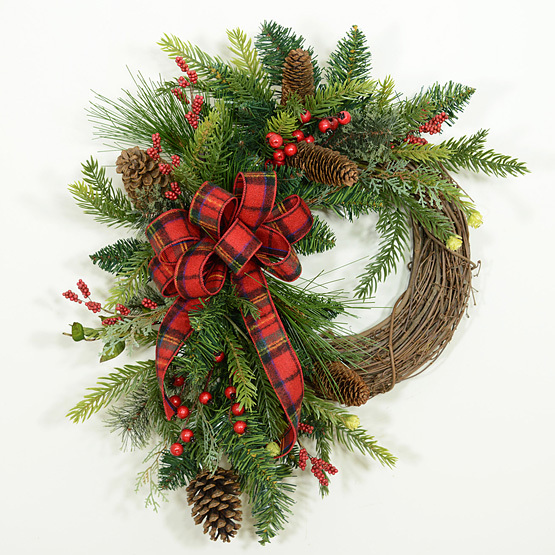 Large pine cones, bright red berries and red checked ribbon and bow, are taylor made for bringing warmth to your home for the winter season. 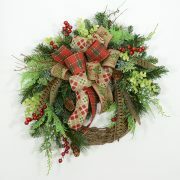 It also works great for the holidays, and at this price, makes a great hostess gift.